I am so happy that Smarty got another chance to participate in AMC 8 this year! I am very grateful to our Home & School Club (aka PTO) for supporting middle school and elementary school math clubs in our school. For once, HSC allocates budget necessary for taking part in math contests such as AMC 8 and MATHCOUNTS. Secondly, parents are the main driving force behind both elementary and middle school math clubs. Obviously, this cause is important to me since I stepped up as a main coach last year. I am also very grateful to my two co-coaches - one that comes every week and another one that conducts "online office hour" every week where kids can call in with their homework questions. I admit that I wish for our math teachers to take more active part in this initiative or at least offer kids time to do their homework, but it is what it is - at least, we have rooms for our weekly classes. Both Math Clubs are open to anyone who wants to join (i.e. no apptitude tests) and both attract about 20% of kids for their respective ages (grades 6-8 and grades 4-5), which I consider quite high. When we started last year, we had only 3 girls attending, but now more girls are coming weekly even though most of them are still very tentative about actually participating in discussions. We spent the first 3 months of this year preparing for our competition season. It started in November with AMC8. AMC8 (and MATHCOUNTS too) are quite tricky for 6th graders since the content is not grade-based. Last year, several of my 6th graders did amazingly well. 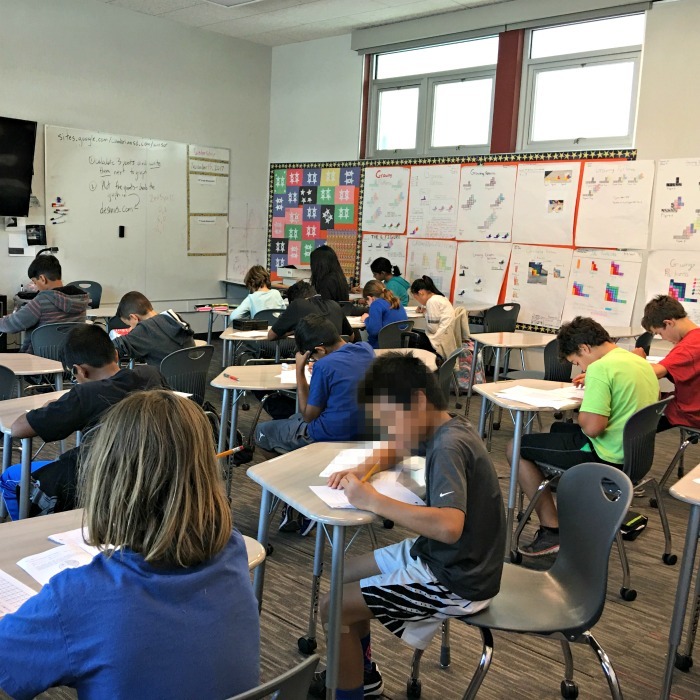 I am somewhat disappointed that my new crop of sixth graders is not as strong as last year's, but... it does not mean that they are not good mathematicians. 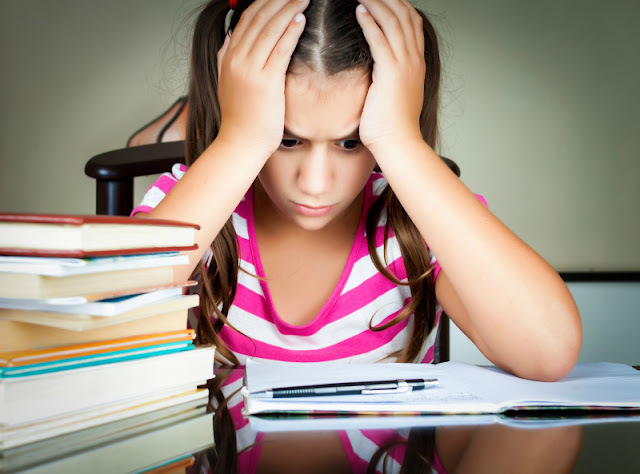 It's just that math competitions require both understanding and fluency, because the tests have time limits. I have a couple of kids who can work out the problems but it takes them too long to do well in competitive situations. I am a little sad and anxious that I might not be able to continue as a math coach in 2018. I am unlikely to have the same flexibility with my new job that I had before, and Math Club starts at 3 pm on Fridays. Luckily, my co-coach is willing to step in and handle three weeks of school MATHCOUNTS competition in January. We will have to decide what we are going to do for the rest of the year. I might be able to prepare materials for kids and my co-coach and another parent volunteer will do classroom teaching. Our kids are all really enjoying this program, and I don't want to let them down. I hope the Math Club will carry on if we decide to go to another school next year and, perhaps, one of the math teachers will volunteer to lead the program. I will also certainly help new parent volunteers to come up to speed. The kids in Smarty's school really need and deserve this additional challenge without parents having to sign them up for afternoon enrichment classes, driving them to those classes, and paying a good chunk of money for them. Fingers crossed that the solution will be found! Are your kids are interested in any sort of competitions, academic or athletic? Congrats to Smarty!! What an accomplishment! My boys love board games and their Kung Fu, but Princess is really not into competitive stuff. So funny story, every time I read AMC I kept thinking movies because one of the big local theaters is AMC.